MOSCOW, Russia -- Russia signalled on Wednesday that it could toughen demands for gas payments from Ukraine if Kiev fails to fulfil existing agreements, increasing pressure on an ex-Soviet neighbour gripped by an economic and political crisis. Moscow is concerned about Ukraine's growing debt for gas but will not review deals as long as Kiev meets its obligations, Russian President Vladimir Putin's spokesman, Dmitry Peskov, said on Kommersant-FM radio. "Of course we are concerned by the growing debt for gas supplies ... but we hope that our Ukrainian partners will stick to all the clauses of the current agreement," Peskov said. Ukrainian energy firm Naftogas said this week that non-payments by its clients mean it may fail to pay Russian gas export monopoly Gazprom on time for imports, a bill the Kremlin-controlled company says has risen to $3.3 billion. "Gazprom has already announced that the debt is growing and growing very swiftly, and this causes concern," Peskov said. "There are contracts ... that clearly state the price of gas supplies, how it is paid and when. And so if the case of elementary fulfilment of the existing document, there is no reason and will be no reason to review anything." A clause in a 2009 gas contract allows for Gazprom to seek pre-payment for gas supplies, and if invoked could increase the risk of a Ukrainian default. On Monday, Russian newspaper Vedomosti cited a Gazprom source as saying that the company may ask Ukraine to pre-pay for gas imports but that no decision had been made yet. Putin agreed in December to lend Ukraine $15 billion and cut gas prices, throwing it a lifeline in what the West and opponents of President Viktor Yanukovich regard as a reward for scrapping plans to sign political and trade deals with the European Union and promising to improve ties with Russia. But Moscow has mixed promises of support with pressure on Kiev. After Ukrainian Prime Minister Mykola Azarov resigned last week in an attempt to defuse sustained anti-government protests, Putin said Russia would wait until Ukraine forms a new government before fully implementing the bailout deal. 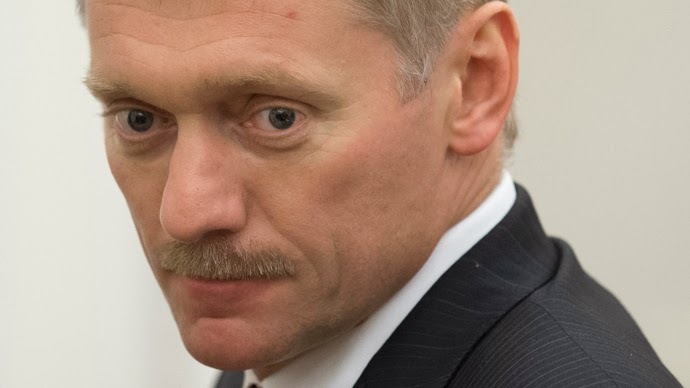 Peskov repeated Putin's promises to help Ukraine. "Russia needs to do what it is doing: give aid to its brotherly country no matter what ... and in no way interfere in its internal affairs." "We would like to believe not." "The preservation of Ukraine's territorial and political integrity is in our interests. We want to see a single, thriving Ukraine."